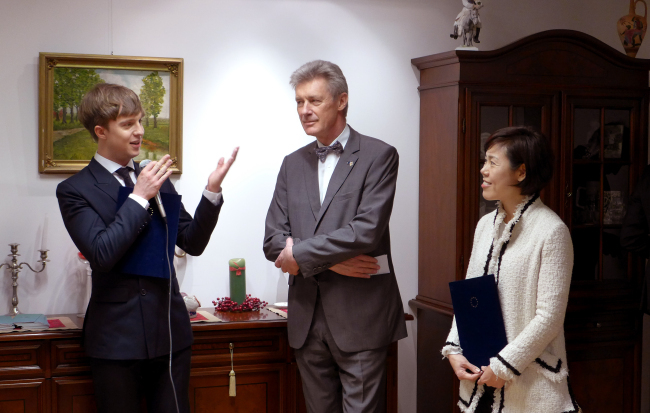 Coinciding with Earth Day -- an annual event celebrated worldwide on April 22 to demonstrate support for environmental protection -- the European Union delegation to Korea hosted a reception Friday to mark the signing of the Paris climate agreement at the United Nations General Assembly by over 120 countries. The historic accord, which was agreed upon in Paris last December, was also signed on the same day Friday at the New York headquarters, paving the way for its entry into force. 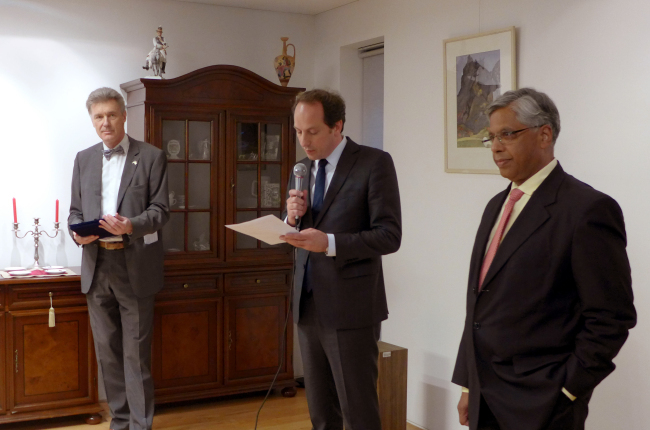 “Today, we are celebrating Earth Day as well as the signature and ratification of the Paris climate agreement at the U.N. in New York,” European Union Ambassador Gerhard Sabathil said at his residence in Seoul. The European Commission -- an executive body of the European Union responsible for proposing legislation, implementing decisions, upholding treaties and managing day-to-day business -- will work over the next 12 months on remaining legislative proposals, covering burden sharing in emissions trading, land use and forestry, reliable and transparent climate and energy governance and regulations aimed at increasing energy efficiency, Sabathil added. Kilaparti Ramakrishna, director of the U.N. economic and social commission for Asia and the Pacific, highlighted that U.N. Secretary-General Ban Ki-moon has dedicated himself to climate change action as his utmost priority.